Malaysian student Indrani Kopal is taking the world of student filmmaking by storm with her documentary The Game Changer. The film, which follows Susan Slotnick on her weekly visits to the Woodbourne Correctional Facility where she teaches dance, recently won Emerging Filmmaker Best Student Documentary at Cannes. 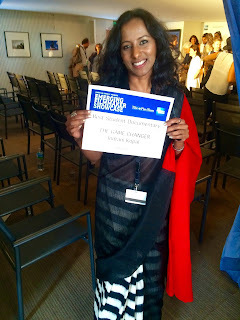 I reached out to Indrani days after she returned from her amazing trip to France asking her to share some of her experience. 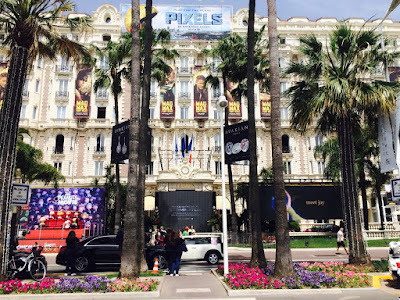 Did you see any celebrities while you were attending the Cannes Film Festival? Who were you most excited to see? Did you talk to any of them? Which celebrity do you think was best dressed? I attended a panel talk by Salma Hayek, where she talked about her role in director Matteo Garrone’s “The Tale of Tales” and Kahlil Gibran's “The Prophet” that was produced by Salma herself. Just seeing her that close and hearing her passion though her speech, was thrilling for me to see an actress whom I adore a lot, in an ordinary setting like that. There weren't any distinctions whatsoever between the industry people and the "celebrities" when you mingle and network at a business level. For some strange reason, the grandeur and the glamour of the festival made whoever attended it seem like celebrity themselves, and celebrities seemed like any ordinary people; I liked that experience. 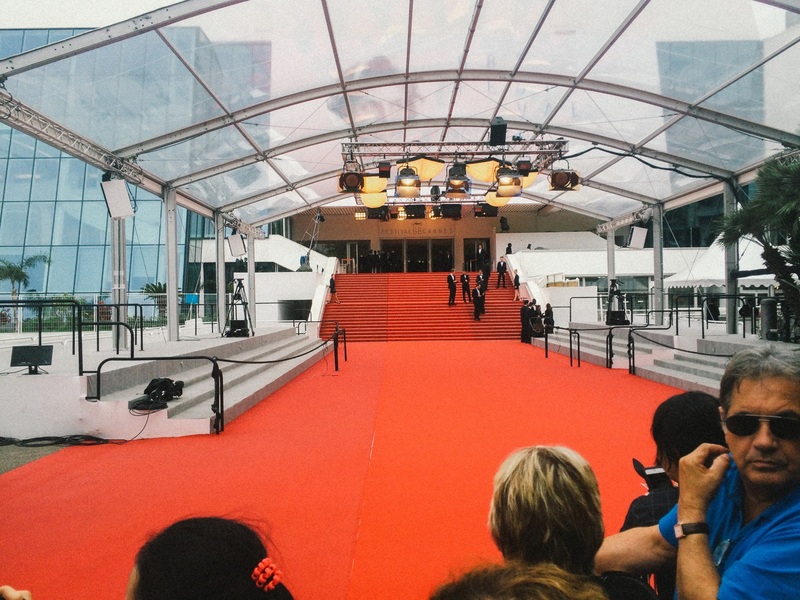 After 5 p.m. almost every day during the festival, the streets near Palaise De Festival, where the majestic Grand Lumière Théâtre is located, gets into a red carpet frenzy. Literally everyone you see on the streets would be all dressed up - what a treat that was to see gorgeous and beautiful people everywhere. What did you wear? Did you have a difficult time choosing what to wear? I was there for almost two weeks, mostly dressed casual during the day, but I did bring some beautiful sarees and dressed for the evening screenings and outings. A designer friend of mine, Maaya Prakash who is set to launch her own line of sarees in NYC, helped to design a couple of sarees for Cannes. I wore one of them on the red carpet, and I also did a special photoshoot to thank her, it was a very beautiful piece, definitely one of the best in my saree collection. The guideline that all women attending the festival had to wear high heels made news headlines, were there any other guidelines you had to follow? Do you have any thoughts about these guidelines? I did notice that these guideline were mostly ignored by the French themselves. I was surprise to notice how casual and laidback most French women were during the red carpet screening. Foreigners are the ones seem to take these guidelines seriously. As for me, I love dressing up and I do love wearing heels for special occasions, so, they didn’t bother me. I was comfortable. However, heels are not the only formal footwear and it should not be imposed on women who not comfortable wearing them. That's completely inappropriate. Did you get to do any sight-seeing while you were traveling? Where would you like to visit again? This is my first Europe trip, believe it or not, many asked me to visit Paris, but I was so busy with the festival, there was no time to go anywhere really. 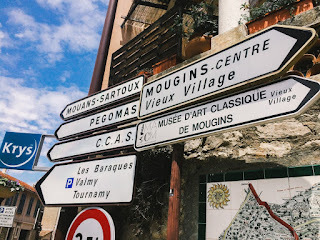 But I did visit an old medieval village called Mougins; it was a little charming village, only 15-min away from Cannes. Pablo Picasso spent the last 12 years of his life living in here. It was little “touristy” for me. But, for art lovers, it’s a heaven. In the narrow streets of Mougins, you will find so many tiny little art studios and galleries and the town's open-air exhibition of sculptures are pretty phenomenal. 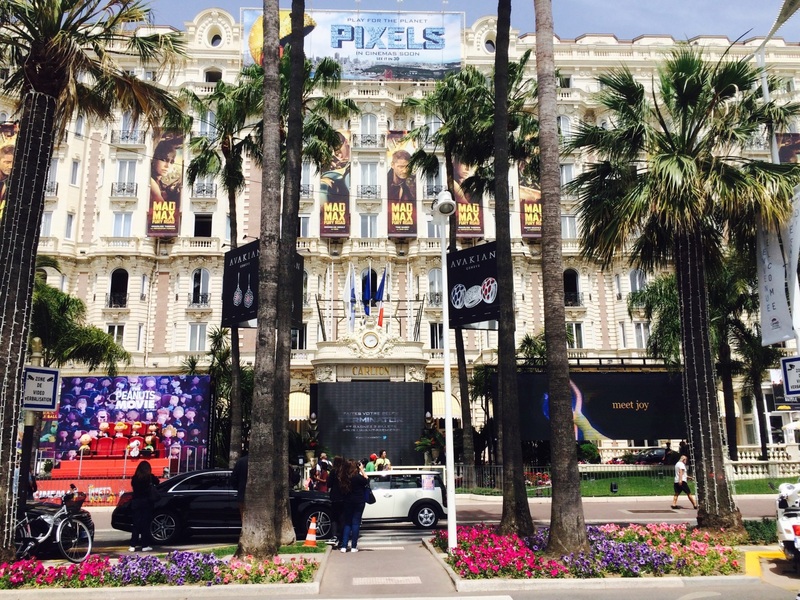 A must visit if you are in Cannes. What was the first thought in your mind when you won the award? I've been to almost over ten festivals, but I have never seen the kind of work I saw at Cannes. 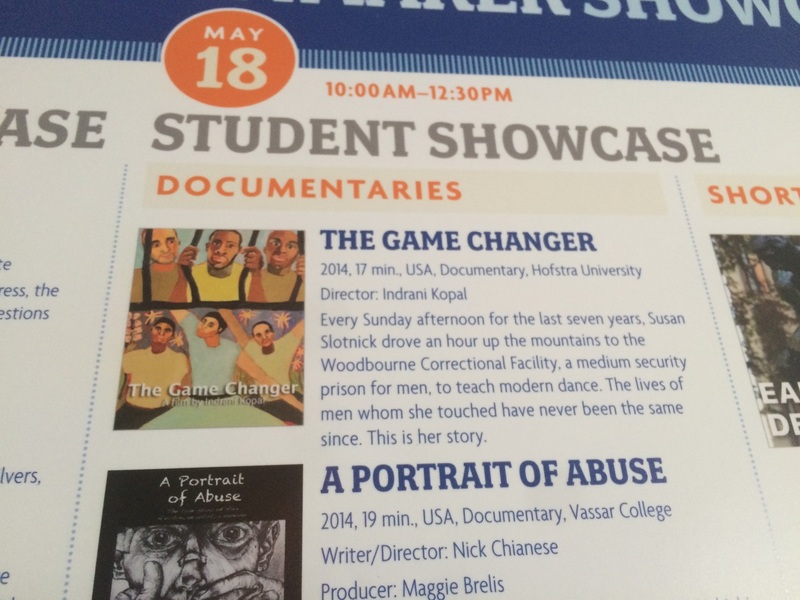 Even the student films were incredibly well done with nice budget and crew, so, I didn’t at all expect "The Game Changer" to win. So, I was really shocked and had my "Oscar" moment and pinched myself, hahaha. It was so funny! If you could make a documentary about anything, what would you choose? Not only that I could, I will and going to make a documentary about women, menstruation and the cultures & rituals around it - across the globe.